Welcome to my first installment of "Profile d'un Producteur". This new addition to the blog is inspired by all the creative Parisian "producteurs" that I've been meeting lately. In this addition to the blog, I'd like to turn the spotlight on the people in our neighborhood who have fully embraced a DIY spirit and made unique artisinal objects to share with us. I hope to make this a regular feature on the blog, so if you or anyone you know is a local producer and would like to share your story, please don't hesitate to get in touch with me, either by e-mailing: Emily@parispaysanne.com or posting your info on the forum. Hello! 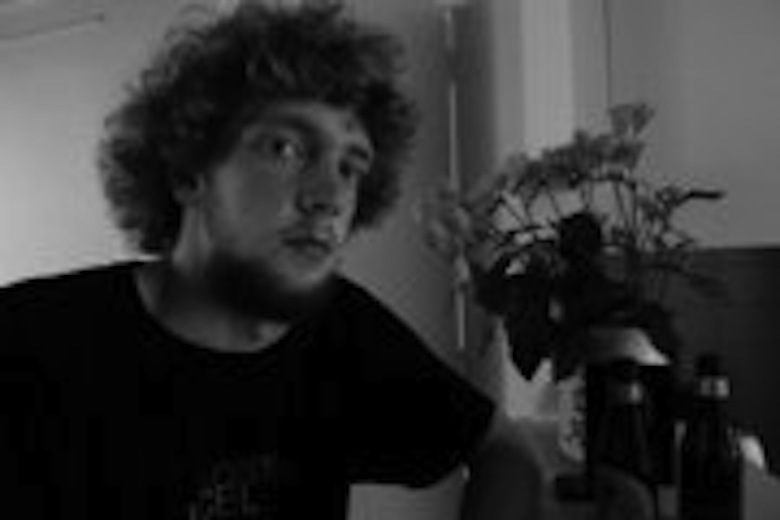 My name is Oskar, and I'm selling wineboxes for ~300-350 euros a piece. It's not very cheap for a box of wine, but it has its advantages. 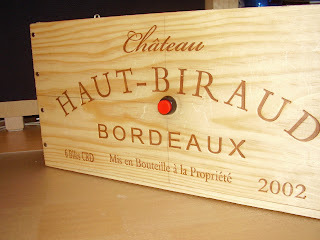 My take on a box of wine would be that it wouldn't really have any bottles in it (although it's possible to get them too), but instead would have a small energy-efficient computer for daily usage. 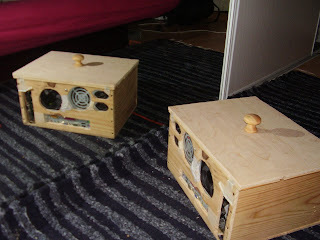 The origins of this idea/project can be traced back to around 2006, when I got the crazy idea of putting a whole computer in a box of wine. I successfully did it, albeit with old spare (antique) computer parts I had lying around in my room, so it was relatively noisy. 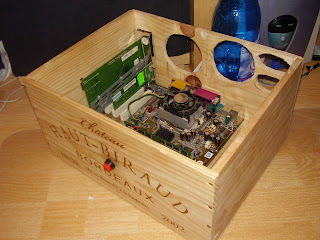 On the other hand, it was used for about six months daily, so this very fact confirms the viability of the idea of assembling a computer in a box of wine. The difference with the first box of wine (I would call it Prototype #-1, yes, Minus One) would be that Prototype Zero would have no mechanically moving parts, eg. no hard disk drives (replaced by a solid state disk), no fans (replaced by less heating parts) and would be, as I already said, energy-efficient. Exact power usage numbers would [possibly] be max 30 watts. I don't really know if this is achievable, but it is a goal I'm setting to myself. For the geeks reading this, Prototype #-1 was made out of an old motherboard, a dedicated graphics card, a PCI ethernet card and a 250watt Codegen PSU. Prototype #0 would be based on a Mini-ITX motherboard (Intel Atom is the way to go), would have no optical reader (there's always the possibility to buy one pluggabe to an USB2 port), discrete graphics (exact chipset would be decided upon, probably Intel, but for the gamers out there, there is a possibility of including nVidia Ion), two gigabytes of RAM and a 32gig SSD. The inclusion of Wi-Fi would be on demand, as at the moment, Wi-Fi-licious Mini-ITX motherboards are more expensive than those without. This would be reflected in the price, too. If you're excited about this idea or want to hear more, get in touch with Oskar, he'd love to hear from geeks, wine producers, interested buyers, and everyone in between! Thanks Oskar for being my first "Profile d'un Producteur" I'm looking forward to publishing more of these stories in the future!